Otto Warburg (1883 – 1970), claimed that 80 percent of cancers can be avoided simply by reducing the level of known carcinogens. Warburg was a German physiologist, medical doctor, and Nobel laureate. He considered cancer to be a nutritional problem, one that could be avoided by maintaining an appropriate natural diet. Since Warburg’s passing in 1970, there has been a plethora of research in many universities finding not only ways to prevent cancer, but to also ways to treat various cancers using non-invasive therapies. In Warburg’s final publication in 1970, he claimed that a cause for spontaneous “tumour metabolism” was either a lack of oxygen or a lack of vitamin B1 (thiamine); both of these are conditions increasing the production of lactic acid. This led him to consider that vitamin supplements would enhance respiration. In the 1940s, Warburg, who had a fear of cancer, practiced what he preached in maintaining a disciplined lifestyle. He grew his own vegetables, drank water from an unpolluted well, his bread was baked with (pesticide-free) grains from wheat, and kept his own poultry. Warburg stayed physically active by taking long walks, horseback riding, and sailing. After his sister Lotte died of cancer in 1948, he also quit smoking. 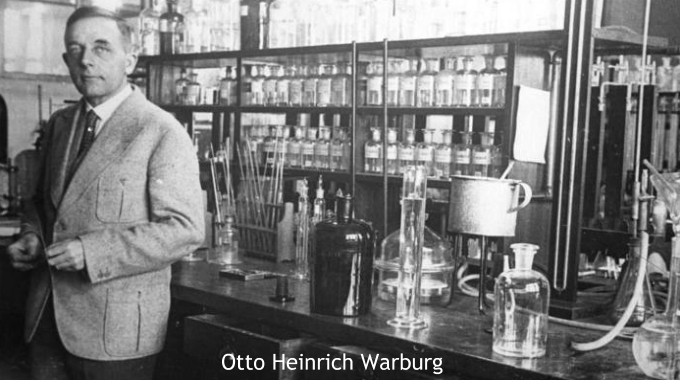 Warburg, being sensitized to the dangers of smoking, alcohol, and drugs, proposed to the German Ministry of Health to reduce cigarette smoking, motor vehicle exhausts, air pollution, and chemical additives in foods as cancer prevention measures. This was in 1954, and his recommendations fell on deaf ears. As a result of his clean lifestyle he was referred to as being eccentric; yet he never got cancer because he believed in keeping his body fully oxygenated and stayed away from foods and beverages that were thought to be carcinogenic. Our bodies live and die at the cellular level. The billions of cells in our bodies must maintain alkalinity, in order to function and stay alive. The first line of defence against disease is a proper pH balance. Disease can only grow in an acidic body, which is a favourable environment for the growth of bacteria, yeast, fungus, mold, viruses, and cancer. Cancer strikes those with an over-acidic body. An acidic state causes a lack of oxygenation at the cellular level. When our pH level falls below 7.4, there is less than the maximum oxygen in the blood. Blood carries the maximum oxygen at pH 7.4 (alkaline). Without proper oxygenation, trouble starts. An acidic pH can occur from an acid-forming diet that does not provide all the necessary minerals and vitamins we need. In addition, emotional stress, toxic overload, immune over-reactions or any process that deprives the cells of oxygen and other nutrients can be an invitation for cancer cells to develop. Foods rich in chlorophyll such as dark leafy greens such as spinach, broccoli, kale, spirulina, and chlorella are very important to add to your diet in order to help increase oxygen levels in your blood. 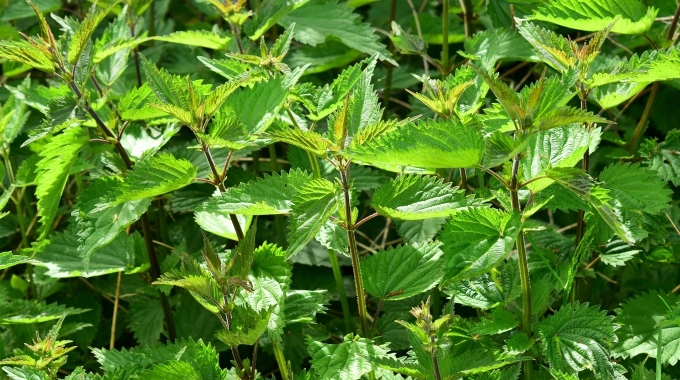 Seeking wild greens is important in today’s world because unless you know exactly how produce is grown, the risk of ingesting chemicals that might cause harm to human health increases. Wild greens that can help oxygenate your blood include mustard greens, dandelions, pigweed, purslane, and lamb’s quarters. In fact, the Chenopodium, Atriplex, Polygonum and Amaranthus species all contain significant levels of chlorophyll. Many researchers today agree with Otto Warburg; cancer, for the most part is a nutritional problem, one that inevitably can be avoided by maintaining a safe, natural diet. Having knowledge is power; and this is vital in today’s world. When you have knowledge about cancer, then fear can become a distant memory. If you are interested in learning more about preventing cancer as well as exploring possible natural ways of treating cancer the Internet can be a wild west of information as well as misinformation. The Truth About Cancer is a reputable source of information that can help you in your quest to gain knowledge. Do you have any articles related to rheumatoid arthritis? Not at this time – but it is on the list of things to cover! This is excellent. Are you a professional writer? I think you are as it shows. The TRuth about Cancer people ought to hire you as a writer!!! Keep up the great work. Thanks Jenna – your words are so kind. Yes, I am a professional writer. Karen truly is a professional – thanks for all you do! Ah, thanks so much for your kind words! Whoa this is so thorough! Thank you! It drives me nuts when people think cancer randomly happens and their diet or environment have nothing to do with it. Wow what an amazing artile!! !